Aditi completed her doctorate in Cultural Anthropology at Johns Hopkins University. Her thesis examined the endurance of trade and commerce amidst political indeterminacy and military occupation in Kashmir. 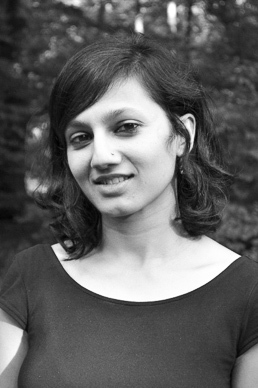 Combining ethnographic and archival work, her research focuses on the relationship between commerce and sovereignty in the northern and eastern highland frontiers of South Asia as manifested in trade networks, the history of economic regulation, patterns of mobility, and material practices of exchange. Postdoctoral Fellow ERC Starting Grant Project: Remoteness & Connectivity: Highland Asia in the World. Masters in Sociology, University of Delhi. Bachelors (Hons) in English, University of Delhi. Dean’s Teaching Fellowship, Johns Hopkins University. Wenner Gren Dissertation Fieldwork Grant. Social Science Research Council (SSRC), International Dissertation Research Fellowship. Sarai Independent Research Fellow, Centre for the Study of Developing Societies, Delhi. Gold Medal for Highest Marks in the MA examination in Sociology, Delhi University. Muriel Wasi Award for first position in St. Stephen’s College, Delhi University, for English (Hons). Research Associate, National Knowledge Commission, Government of India. Visiting Instructor for “Gender & Society”, Shyama Prasad Mukherjee College, Delhi University. “Revivals: Customs, Boundaries and Mobility in Kashmir” Conference of the Asian Borderlands Research Network, 13-15 August, Bishkek, Kyrgystan. “Frontier explorations” Association of Asian Studies Conference, 22-25 March, Washington DC. Frontier’s Signature: Trade and Territory in Kashmir” Colloquium, School of Law, Governance and Citizenship, Ambedkar University, 30 January, Delhi, India. “Itinerants in the Archives: Traders, Thieves, Vagabonds” Annual Meeting of the American Anthropological Association, 30th Nov-3rd December, Washington DC. “Financial Superstitions” Annual Meeting on South Asia, 26-28 October, Madison-Wisconsin. “The Politics of Trade” Workshop at the Tajik Academy of Sciences, 5th August Khorogh, Tajikistan. “The Trust Deficit: Truths, Lies and Social Encryptions” Dept. of Sociology, Shiv Nadar University, India. “Ajal and the Politics of Untimely Death in Kashmir” Annual Meeting of Middle East Studies Association, Boston. “Occupying the Frontier”, Annual Meeting on South Asia Madison-Wisconsin. “Frontier Geographies: Transections and Transactions” Workshop on Genealogies of Financialization: Reframing Sovereignty in Asia, SSRC Inter Asia Connections V, Seoul. “Durations of Credit: Mobility and Morality in the Wholesale Market” Panel on Moralizing Economies, Annual Meeting of the American Anthropological Association, Denver. “Ellipses of Exchange”. Modern South Asia Workshop, Yale University, New Haven. “The Turning Wheel – Credit Cycles in Srinagar’s Wholesale Hub” Society for Cultural Anthropology (SCA), Biannual Meeting, Detroit. “Cities, Markets and Political Movements”, Indian Institute of Human Settlements (IIHS), New Delhi, India. “Knots of Trade: Credit and Conflict in the Wholesale Hub”.